Lindsay works at the First Nations Health Authority as Senior Aide to the Chief Medical Officer, Dr. Evan Adams. Prior to this, she worked as a consultant for the Castlemain Group, which provides advisory services to First Nations communities throughout Canada. Lindsay received a Masters of Science in Community Health from the University of Northern BC. 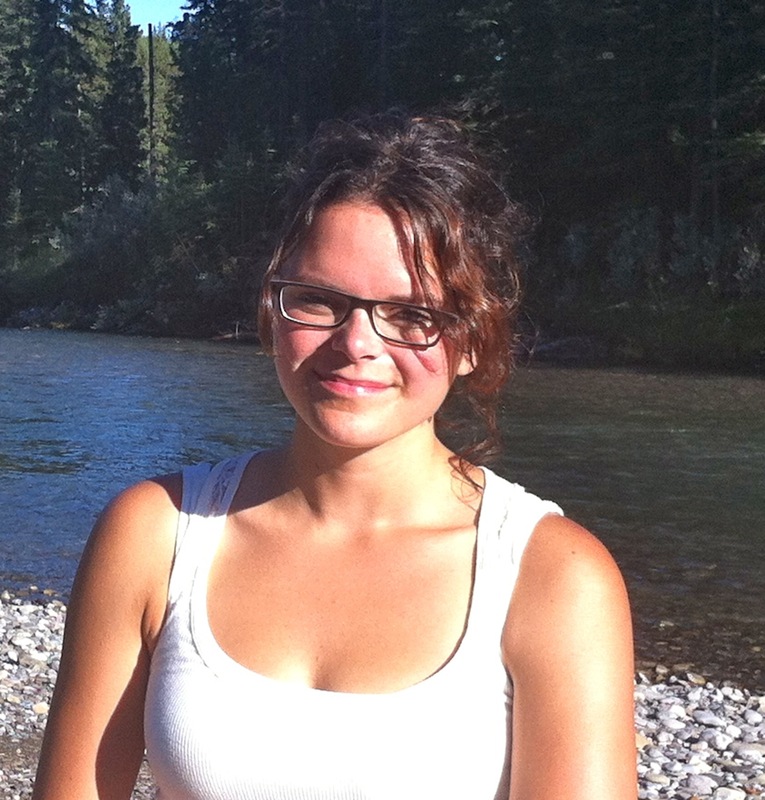 For her thesis, she developed a partnership with a First Nations community to explore the connections between the land and well-being, using an innovative photography-focused research method called “photovoice.” The project won a Kloshe-Tillicum Aboriginal Health Research Award. Throughout her studies, she worked as a coordinator for the Community of Practice in Ecosystem Approaches to Health (COPEH-Canada) and the Ecohealth Knowledge to Action Research Group. Because of these experiences, she is a huge ecohealth advocate! Lindsay began her career working with the NWT Regional Medical Health Officer on public health, environmental health and health promotion projects. After completing a Bachelor of Science at the University of Alberta, she worked as an intern in rural Uganda where she led a variety of health and education projects with children and youth affected by HIV/AIDS. She has also managed a research-based chronic disease prevention program based in Inuvik, which aimed to address food security issues in northern communities. Lindsay was born and raised in Yellowknife, NWT. Kolahdooz, F., Mathe, N., Katunga, L.A., Beck, L., Sheehy, T. Corriveau, A. Sharma, S. (2013). Smoking and dietary inadequacy among Inuvialuit women of child bearing age in the Northwest Territories, Canada. Nutrition Journal. 12 (27). Erber, E., Beck, L., Hopping, B.N., Sheehy, T., De Roose, E., Sharma, S. (2010). Food patterns and socioeconomic indicators of food consumption amongst Inuvialuit in the Canadian Arctic, Journal of Human Nutrition and Dietetics, 23, 59–66. Erber, E., Beck, L., De Roose, E. & Sharma, S. (2010) Prevalence and risk factors for self‐ reported chronic disease among Inuvialuit populations. Journal of Human Nutrition and Dietetics, 23, 43–50. Sharma, S., Gittelsohn, S., Rosol, R., Beck, L. (2010) Addressing the public health burden caused by the nutrition transition through the Healthy Foods North nutrition and lifestyle intervention programme, Journal of Human Nutrition and Dietetics, 23, 120–127. Erber, E., Hopping, B.N., Beck, L., Sheehy T., De Roose, E. & Sharma, S. (2010) Assessment of dietary adequacy in a remote Inuvialuit population. Journal of Human Nutrition and Dietetics, 23, 35–42. Hopping, B.N., Erber, E., Beck, L., De Roose, E. & Sharma, S. (2010) Inuvialuit adults in the Canadian Arctic have a high body mass index and self‐reported physical activity. Journal of Human Nutrition and Dietetics, 23, 115–119. Cao, X., Erber, E., DeRoose, E., Beck, L., Gittelsohn, J., and Sharma, S. (2010) Assessment of dietary intake in an Inuvialuit population undergoing a rapid nutrition transition. Journal of the Federation of American Societies for Experimental Biology. 24, 559. Sharma, S., Mead, E., Gittelsohn, J., Beck, L., Roache, C. (2010). “The Healthy Foods North nutrition and lifestyle intervention program: a community‐ and evidence‐based intervention trial among Inuit and Inuvialuit in Arctic Canada”. CIHR‐IPPH and CIHI‐CPHI Call for Case Abstracts for a New Publication: Population Health Intervention Research Casebook. Beck, L. Building Healthier Communities through Healthy Foods North. (2010). Tusaayaksat: the magazine of Canadaʹs Inuvialuit people. Fall 2010. Beck, L., Paivalainen, A. (2008). Transforming approaches to tackle HIV in Uganda. University of Alberta Express News: Student View. Beck, L. (2007) Influenza Vaccine Program for the Northwest Territories (NWT) 2007/2008 season. 19:3. Beck, L. (2007) Hepatitis C Virus in the North: Review and Epidemiology EpiNorth, 19:2. Beck, L. (2006) Influenza Vaccine Program for the NWT 2006/2007. EpiNorth, 18:3.